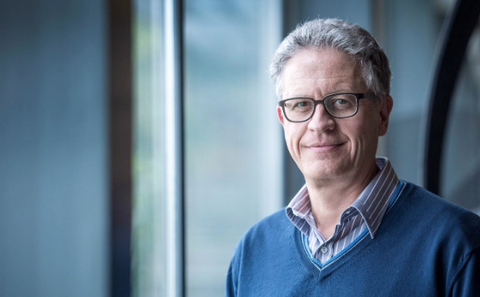 During his 25-year career, Thomas Stocker has focussed on climate change models based on the analysis of ice cores from the polar regions. Stocker is co-chair of IPCC Working Group 1, which assesses the climate system and climate change. chinadialogue: If you become IPCC chair, you will have a major role in informing discussions at the Paris climate summit at the end of the year. Are you optimistic about the outcome of the talks? Thomas Stocker (TS): I am optimistic, but also realistic. If we are serious about limiting the increase in (average global) temperature to no more than 2C, we need to take action urgently. The opportunity will not always be there. Working Group 1 has calculated total permissible emissions globally, and we are already two-thirds of the way to that figure – we’ve almost eaten the entire carbon cake. But I am optimistic for four reasons. Policymakers now have clearer and more easily accessible scientific evidence than ever before. Secondly, the business sector is now aware of climate change being a threat to many of their activities, and global business leaders are talking about carbon trading prices. Thirdly, INDCs (intended nationally determined contributions to emissions reductions) are a bottom-up approach on a country basis, and are a good complement to the common agreement of a global climate target. That’s entirely different to the situation before COP15 in Copenhagen, six years ago. Finally, the biggest emitters are changing their stance. Last November, China and the US issued a joint statement on climate change, with China saying it will reach a carbon peak by 2030, and the US has also set a target for 2025. This joint statement is of historical significance. But just two countries aren’t enough, and these commitments aren’t adequate for longer-term emissions targets. The G7 statement issued in June goes further and talks about complete decarbonisation. chinadialogue: If you become chair, how do you plan to use the IPCC’s influence? TS: We deliver scientific assessments of the climate problem to all nations and provide a basis for more informed decisions. In the future, IPCC should communicate on a continuous basis, not only at the end of an assessment period. The 6th Assessment Report should be published between 2020 and 2022, and before then I think there should be communication worldwide between scientists themselves, and between scientists, the public, and policymakers. Academia, businesses and NGOs should be involved, too. In the 5th Assessment Report one of the important new findings concerned the ocean, in particular temperature changes, the energy uptake of the world’s oceans and acidification. Beyond the physical aspects, we need to further assess the consequence of climate change on ocean services to humankind. The oceans provide food and products for millions upon millions of people, and we don’t know how it’s going to be affected by temperature changes and acidification of the ocean. That’s something scientists need to move forward with in the next assessment phase. China, for example, has its own national climate assessment reports which can provide us with detailed regional climate data. What the IPCC would do is digest and summarise that information. Twenty years ago, we didn’t have national climate assessments, now several nations have them. I think including this information will provide a much richer view of how climate is changing and impacting on human and ecosystems on a regional scale. chinadialogue: The vast majority of policymakers and scientists accept that manmade carbon emissions are changing the world’s climate, but sceptics remain vociferous in their denials that such a link exists. What is your response to those who argue that the climate can become warmer or cooler even without human activity? TS: Of course, we can’t say the 2C target is an absolute guarantee of human safety, while missing it will necessary cause catastrophe. But if global average temperatures increase by over 2C, some hard-to-control changes may be triggered. For example, changes in the global water cycle may affect the world’s resources and ecosystems; parts of ice sheets may melt and thus contribute to sea level rise, and risks of extreme events will increase. And those changes will get worse and be subject to a sustained influence the greater the warming will be. And that is why policymakers set the target at 2C, not because scientific research proved this is a magic number. It is a necessary number, and today it appears still feasible. But it needs to be reiterated that the window for achieving that target is rapidly closing. Assuming continued emission of greenhouse gases at today's levels for another 10 years, the 2C will have become as ambitious as the 1.5C target is today. The other issue is the one everyone’s talking about – how big a factor is natural climate change, compared to that caused by humanity? The observed increase in global average temperatures, the rise in sea level, the more frequent extreme hot events, global changes in the water cycle, and the acidification of the world ocean have all been attributed to the increase in the CO2 concentration in the atmosphere. This concentration now is 30% higher than ever in the past 800,000 years. Natural climate change is responsible for only a very small fraction of the observed changes of the past 100 years. If climate change evolves according to a business-as-usual scenario, we are talking about warming in excess of 4C, with all consequent effects amplified. Many regions will be seriously challenged to adapt to this amount of change, some regions will be unable to adapt. chinadialogue: The IPCC’s latest report includes a graph of carbon emissions by country, starting from 1970. Some find that controversial, saying calculations should be used from 1900 onwards, or the early stages of the industrial revolution. What’s your view? TS: The calculations by Working Group 1 actually use data that begins in 1860. Of course, we have a lot more data from 1970 onwards, allowing us to calculate national emissions. A more rigorous approach would be to start from the onset of the industrial revolution in the mid-eighteenth century, but data on a national basis from that time are lacking. It’s right to take historical emissions into account, and refer to those when discussing future emissions reductions. But we could also think of it like this: Responding to climate change also provides the chance for technological and social progress. This is an opportunity that is unprecedented in human history. I believe new technologies will create enormous possibilities and job opportunities. For example, in Switzerland we can now build zero-energy homes, buildings which are themselves small-scale power generators feeding into the grid. And in fact there’s no rule or law that dictates that development requires fossil fuels. Development will come from innovation, infrastructure building and transfer and exchange of technology. Of course, China is on a remarkable path: it has made many innovations in technology; it is the global leader in photovoltaics, and it achieved that status over a very short period. Now it is time to talk about scaling up, implementation and aggressive emissions reductions, so that climate change shall be limited to no more than 2C warming.